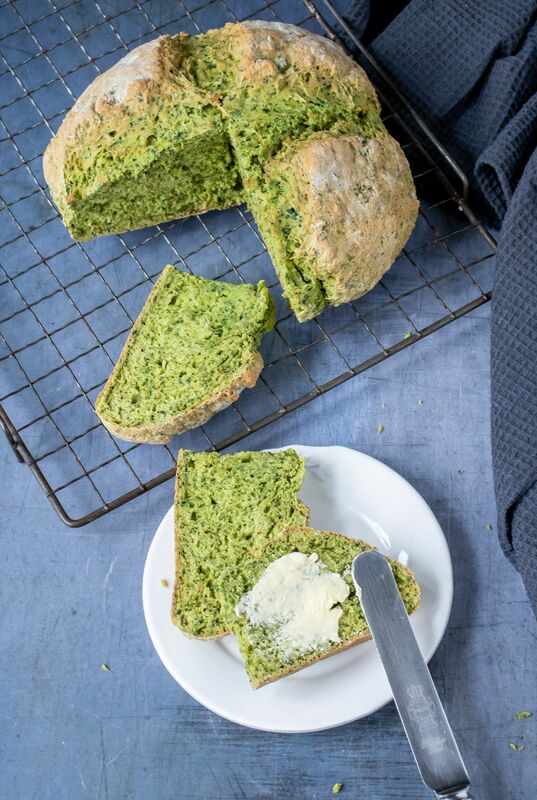 If you love baking and brassicas, then we have some tasty new recipes for you to try! 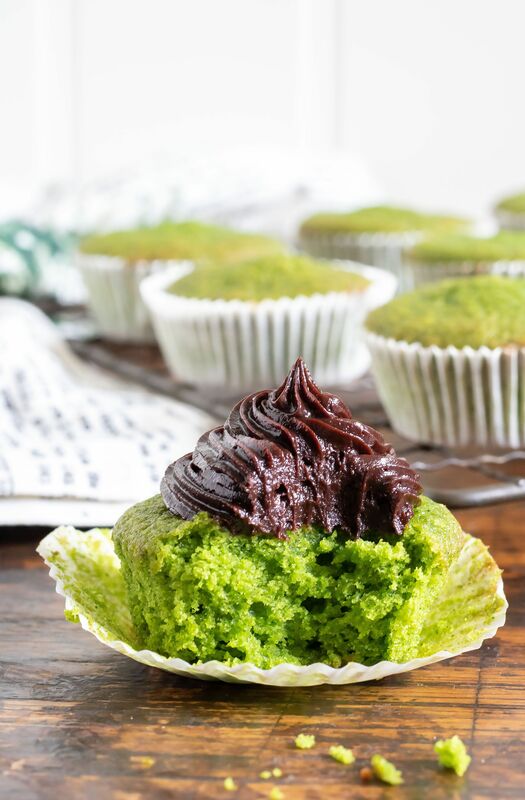 Discover Great Veg has teamed up with leading food blogger and author Kate Hackworthy of Veggie Desserts to create some delicious new ways to enjoy our favourite veg – cavolo nero, kale and spinach! 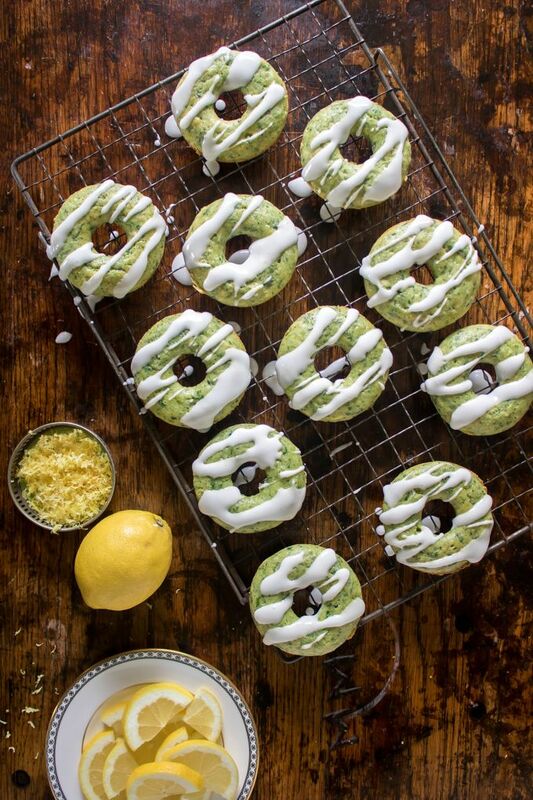 Move over carrot cake, and say hi to Cavolo Nero Cupcakes with Chocolate Frosting, Lemon & Spinach Doughnuts and Kale & Herb Soda Bread - all of these recipes are not just colourful, but full of flavour and a little veggie goodness too. 1) Preheat oven to 170C (Gas Mark 3) and line a 12 cup muffin pan with paper cases. 2) Tear the cavolo nero leaves into bite sized pieces and steam them for a few minutes until tender. 3) Refresh by running under cold water to cool, then drain, squeeze out any excess moisture and chop up very finely. 4) Add the cavolo nero and the milk to a tall container, then puree until smooth with a hand blender. 5) In a large bowl, cream the butter and sugar with an electric mixer until light and fluffy. Beat in the eggs, one at a time, then beat in pureed cavolo nero. 6) Sift in the flour and stir gently to combine. 7) Fill the muffin cups 3/4 full wiht the batter and bake for 15-20 minutes or until a skewer inseted in the middle comes out clean. Allow to cool in the pan for 10 minutes, then transfer to a wire rack to cool completely. 1) Beat the butter with an electric mixer until light and fluffy. 2) Sift the icing sugar and cocoa then add the milk and beat until smooth. 3) If the frosting is too thick, add another tablespoon of milk. If it is too thin, add a bit of icing sugar until it reaches a thick consistency. 4) Spoon the frosting in to a piping bag and pipe over the cooled cupcakes. 1) Heat the oven to 200C (Gas Mark 6) and line a baking tray with baking paper. 2) Tear the kale leaves into bite sized pieces and boil or steam them for a few minutesuntil tender. Refresh by running under cold water to cool, then drain and squeeze out any excess moisture. Chop finely, then puree to a paste wiht a hand blender. NOTE: Kale can be fibrous so if necessary add a tablespoon of the buttermilk to aid pureeing. 3) Sift the flour, bicarbonate of soda, herbs, sea salt and sugar into a large mixing bowl, adding any sifted out herbs or salt back to the bowl, and make a will in the middle. 4) Stir the pureed kale into the buttermilk, then add it to the well in the dry mixture, and stir with a wooden spoon until it forms a sticky dough. 5) With floured hands, pat the dough into a ball and flatten slightly, then place on the baking sheet. 6) Cut a deep cross across the top with a knife and sprinkle it with a little flour. 7) Bake for 30 minutes or until the top is folden and tapping the bottom of the soda bread makes a hollow sound. Allow to cool on a wire rack. 1) Preheat oven to 170C (Gas Mark 3) Lightly grease a doughnut pan with oil. 2) Add the spinach to a pan and heat until wilted. Run under cold water to refresh, drain and squeeze out excess moisture. Puree well with a hand held stick blender. 3) Zest and juice the lemon, then set aside. They will be used for both the batter and glaze. 4) In a large bowl, beat the spinach puree, 1 tsp zest, 1 tbsp of lemon juice, sugar, milk, cooled melted butter, egg and vanilla together. Sift in the flour and baking powder and gently combine. 5) Fill the doughnut moulds with the batter until nearlyfull and bake for 15 minutes or until springy and an inserted skewer comes out clean. Allow to cool in the ray for 5 minutes, then carefully remove the pan to cool completely on a wire rack. 1) Mix the icing sugar with 1 and a half tbsp of the lemon juice. 2) Add more juice (or water), sparingly, to achieve a thick but pourable consistency. 4) Sprinkle with a little zest.